If you're looking for a job in Jamaica as a foreign citizen, here's a guide on how to get a job, where to look for job opportunities, how to apply and information on the current job market, salaries, the best cities to find a job and work visa requirements in Jamaica. For an expat, it is not easy to start job hunting in Jamaica, especially if still don’t have a work visa for this island country. Employers in Jamaica usually might be happy to hire foreigners. However, job opportunities in Jamaica are limited unless you have required skills and work experience in specific industries with local labor shortages. It is also important that you are fluent in English language. There are many job opportunities in the following sectors in Jamaica: agriculture, fishing, mining, manufacturing, real estate, construction, education, finance, leisure and tourism. Job opportunities in Jamaica largely concentrate on the country’s tourism industry. Foreign job seekers in Jamaica have the best chances to find themselves employed in this sector. Jamaica draws large number of tourists each year, so there is a constant demand for local and foreign professionals in sectors related to tourism. Other job opportunities for foreigners in Jamaica mainly exist in the real estate sector, hotels and restaurants, construction sector and healthcare sector. The largest employers in Jamaica include companies within the transport and tourism industry (such as airlines, hotels, resorts and restaurants), agriculture, building and construction sector, real estate agencies, finance and insurance companies and manufacturing companies. The notable employers in Jamaica are: The Scotia Group (finance), The Jamaica Broilers Group (agriculture), GraceKennedy, MegaMart (retail stores), CB Group (food production), Island Grill and Rainforest Seafoods (fishing and food production). - Crane operator in Jamaica – in demand position on a construction site. - Teacher in Jamaica – teaching in public and private schools or universities. - Receptionist in Jamaica - works in a waiting area such as a hotel lobby or front office desk of business. Foreign employees often work as a receptionist in a hotel in Jamaica. - Lifeguard in Jamaica - perform beach rescues and provide emergency medical treatment for water sports participants in Jamaica. Lifeguard job is usually a temporary job or part-time job. - Medical doctor in Jamaica – there is a high demand in private hospitals and medical centers in Jamaica for medical workers. Medical jobs in Jamaica such as a nurse, medical doctor, dermatologist, or surgeon are amongst the highest paid jobs in the country. There is a lack of local professionals for these jobs, so it could be a great opportunity for foreign job seekers interested in long term job in Jamaica. Remember that healthcare professions are regulated in Jamaica, so if you are a foreign resident and looking for a healthcare job, you will need the right qualification recognized by the Jamaican authority, before applying for a job. - Waiter in Jamaica – as a part of restaurant staff, waiter in Jamaica is an in-demand position during the summer season. Online job search engines, recruitment agencies and local newspapers in Jamaica are the most important resources for job seeking. Applying for a job from home country is ideal, but if you reside in Jamaica, you can use services for job seekers of local recruitment agencies. Many jobs in Jamaica are filled informally through personal referrals. So, if you live in or visiting Jamaica, start looking for a job by asking people you know if they are aware of any local job openings. Well known recruitment and employment agencies in Jamaica are Placement and Business Services Ltd., Eclipse Personnel & Mgmt Servs, Dot Personnel Servs (Ja) Ltd, H2B Recruitment and E-Jam Employment Agency. There are also a couple of employment agencies in Jamaica that recruit candidates to work on a cruise ship, such as New Adventures Employment Services and The Training and Recruitment Centre (TRC). Job openings are often published in local newspapers like Jamaica Herald, Jamaica Observer, The Gleaner or Daily Star. There are just a couple of specialized job search engines or job portals for job seekers in Jamaica. If you are looking for a job vacancy in Jamaica from abroad, you can use job search engines and job sites like Jamaican Medium and Job Smart, or use international job search engines, using terms like job titles, company names, career fields, skills or profession categories to generate local job listings. 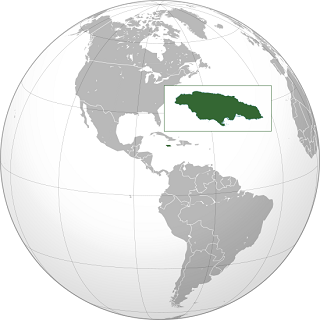 Jamaica is the fourth-largest island country in the Caribbean, spanning 10.991 square kilometers (4.244 sq mi) in area. Jamaica has a population of 2.900.000, 92,1% Africans. The official language is English, but the national language is Jamaican Patois, so fluency in English is sure to increase the chances of finding a job in some of Jamaican major cities. The national currency is Jamaican dollar and wages and salaries are paid in this currency both for Jamaican citizens and foreign nationals. Similar to other Caribbean countries, Jamaica has a great number of citizens living abroad (about 2.5 million). They have various jobs in the United States, Canada and United Kingdom. Jamaica has a high unemployment rate, but main sectors, like tourism and real estate, provide employment both for skilled Jamaicans and foreign workers. The largest number of employees, especially foreign workers, reside and work in the major cities in Jamaica: Kingston, Spanish Town, Portmore and Montego Bay. 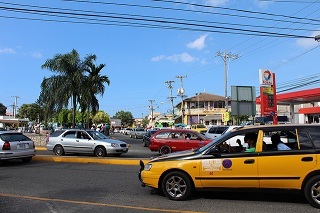 Foreign workers in Jamaica are usually attracted by temporary job opportunities during the summer season in Jamaica. Wages and salaries in Jamaica are lower than in some other countries in the Caribbean and America, so majority of foreign job seekers is attracted to stay here for a month, two or three, because of low cost of living, combined with beautiful landscapes, crystal clear waters and balmy temperatures in Jamaica. Foreign workers in Jamaica are often recruited by an employer in the hospitality and tourism industry – restaurants, hotels, retail stores, particularly those catering to English speaking tourists. Jamaica has also become a destination for location independent travelers who can work from anywhere with an internet connection, like Phuket in Thailand and Bali in Indonesia. A typical work week in Jamaica for employees in local enterprises begins on Monday and ends on Friday, although some employees have few working hours on Saturday, rarely on a Sunday. Employees in Jamaica usually work about 40 hours per week. Working overtime is not common in Jamaica. All visitors to Jamaica are required to be in possession of a national passport and visa, unless they come from countries whose citizens may obtain a visa on arrival or one of the countries designated as visa-exempt countries. If you plan to reside and work in Jamaica, before you start applying for a job you will need to obtain a work permit from the Ministry of Labor in Jamaica, and then apply for a work visa. To get a work visa for Jamaica, you must have a valid passport and a letter from the Ministry of Labor in Jamaica approving work permit or granting an exemption from the work permit requirement. Processing time for work visa usually lasts up to five business days.